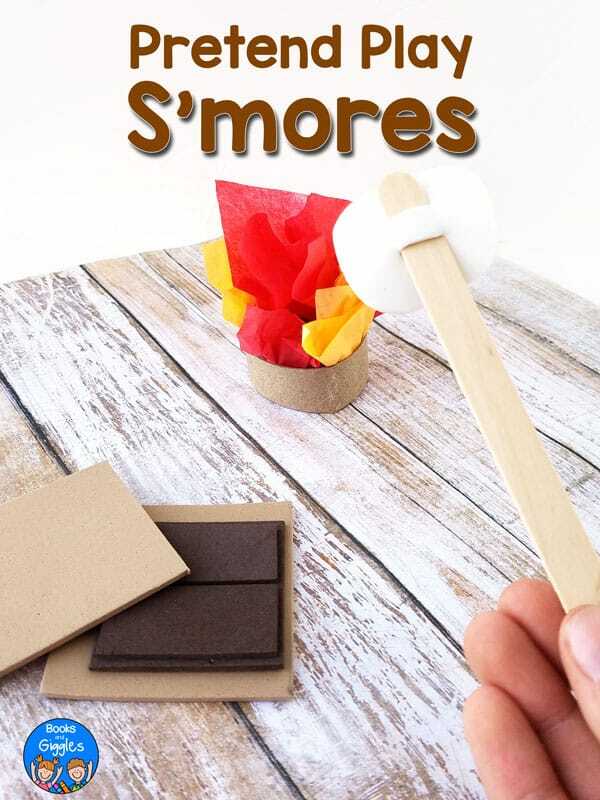 This smores sequencing activity is cheap and simple to prepare, and it makes for an engaging pretend play activity. 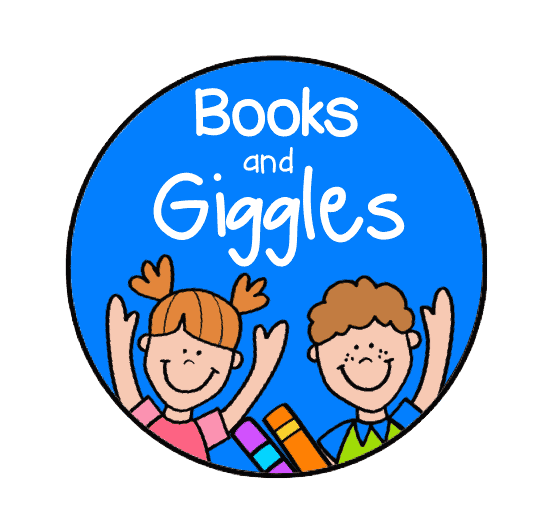 Plus, I’ve made you a free printable crown that’s perfect for preschool or kindergarten camping theme literacy centers. Camping wasn’t supposed to be this cold in Texas in April, but here we were toasting marshmallows and making s’mores in the middle of a gray afternoon. I shivered against the cold and scooted my new folding chair closer to the campfire. Despite the weather, I had fun watching all the children in our group make s’mores. Some kids liked their marshmallows barely cooked at all. Others went to the opposite extreme, purposely burning their marshmallows like torches. The heat of the fire and the gooey sweet sugar bombs were just what we needed to make memories — if I could just keep all the little sticky fingers off my new chair. Even after I’d eaten my share, I wanted to keep making s’mores just because they’re fun to make. So, after we got home, inspiration struck. 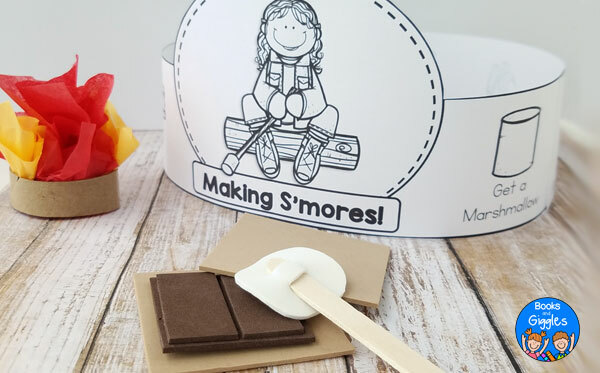 On a whim, I created this simple pretend play s’mores sequencing activity, and right away my girls were eager to test out the set. I loved that they could “toast” marshmallows without all that sugar! This little set would work equally well at home or in the classroom for a camping theme week. 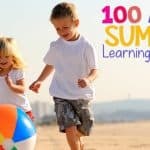 Either way, it’s an opportunity to practice sequencing, an important early literacy skill. 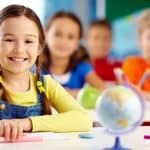 Indeed, learning how to sequence helps students’ reading comprehension. 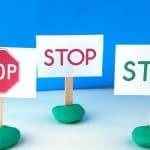 Understanding the difference between the beginning, middle, and end of a story helps them make sense of the narrative. Since making s’mores is a step-by-step process, it’s a clever way to get kids to practice sequencing. 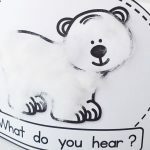 Marshmallows – 3 ½ cm squares with rounded corners. Cut 2 slits in the middle of each marshmallow for the popsicle stick to slide into as shown. Chocolate – 3 pieces: 4 ½ x 4 ¼ cm, and two rectangles that are 4 x 2 cm. Glue the smaller rectangles on top of the larger one as shown. Cut about an inch off the end of the toilet paper roll, giving you a cardboard ring for the outside of the fire. Cut roughly 3-inch squares of tissue paper. Pull each square at the middle as if you’re preparing to stuff a gift bag. Then glue each piece to the inside of the toilet paper roll ring. 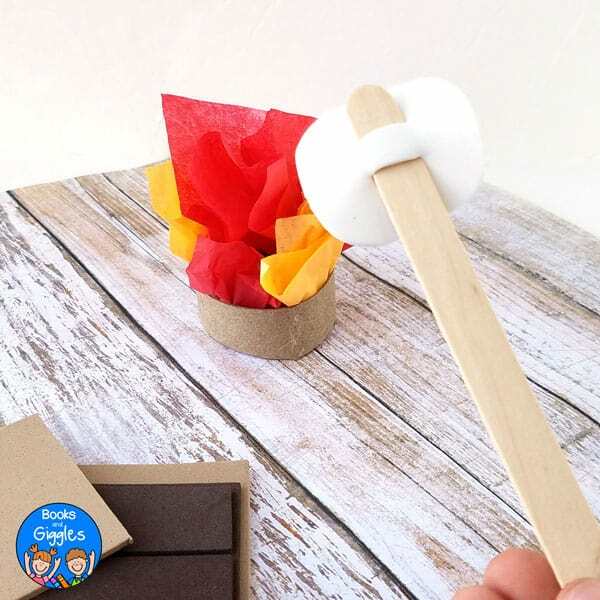 Now your kids can pretend to make s’mores all they want, without overdoing the sugar or touching everything with sticky fingers. 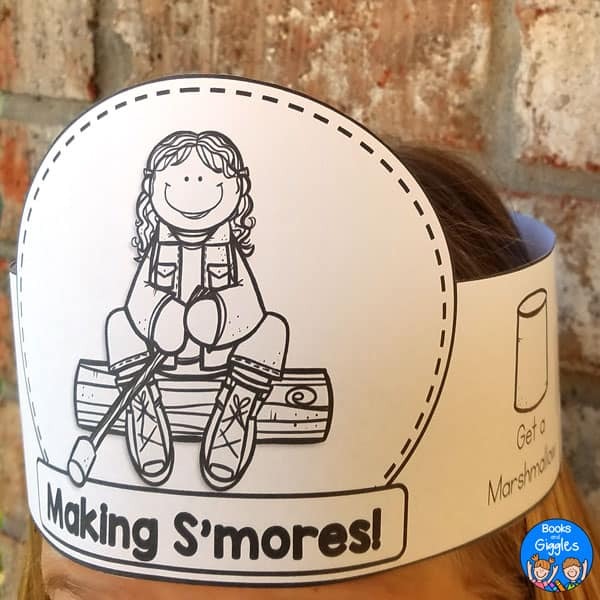 If you want to bump up the literacy lesson another notch, you may also like the cute free printable “Making S’mores” crown I made. 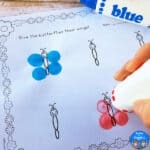 There’s a prepared version for younger kids and a cut and glue version for children who’re ready to put the steps in order themselves. Of course, be smart and only have children wear paper crowns in front of a pretend fire – not a real one. You never know who is going to swing around their glowing marshmallow torch!